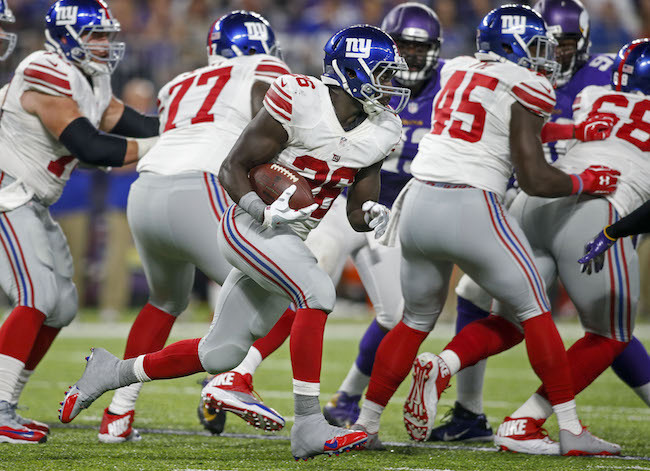 The New York Giants defeated the Chicago Bears 22-16 on Sunday afternoon at a windy MetLife Stadium. With the win, the Giants improved their overall record to 7-3. The Giants slightly out-gained the Bears in first downs (19 to 17), total net yards (329 to 315), net yards rushing (102 to 93), and net yards passing (227 to 222). Chicago was 4-of-12 (33 percent) on 3rd down while New York was 5-of-14 (36 percent) on 3rd down and 2-for-2 (100 percent) on 4th down. The Bears turned the ball over once while the Giants did not turn the ball over at all. The Bears had four possessions in the first half and scored on their first three: a 9-play, 76-yard drive that resulted in a touchdown (extra point missed); a 7-play, 39-yard drive that resulted in a 40-yard field goal; and an 8-play, 79-yard drive that resulted in a touchdown. Bears quarterback Jay Cutler was 11-of-14 for 126 yards and a touchdown in the first half with tight end Zach Miller catching three passes for 61 yards and a 19-yard score. The Giants defense also had trouble stopping running back Jordan Howard as he rushed for 72 yards on 12 carries in the first half. Meanwhile, the Giants only had three possessions in the first half, scoring on two of them. New York drove 78 yards in 11 plays on their first drive. The Giants went for it on 4th-and-2 from the Chicago 17-yard line as quarterback Eli Manning hit wide receiver Sterling Shepard for 15 yards down to the 2-yard line. On the next snap, running back Rashad Jennings scored. The extra point was missed by ex-Bears kicker Robbie Gould. New York went three-and-out on their second possession. Then on their third and final possession before the break, the Giants drove 57 yards in 14 plays to set up a successful 46-yard field goal by Gould. This drive also included a successful 4th-down conversion as Jennings caught a 5-yard pass on 4th-and-2 at the Bears 33-yard line. Manning was 11-of-18 for 100 yards in the first half with Jennings both the leading rusher (seven carries for 34 yards) and receiver (five catches for 44 yards). Chicago led 16-9 at halftime. The Giants defense shut out the Bears in the second half. Five of Chicago’s second-half possessions resulted in three-and-outs. Their third possession after the break gained 47 yards in nine plays but ended with a missed 51-yard field goal early in the 4th quarter. 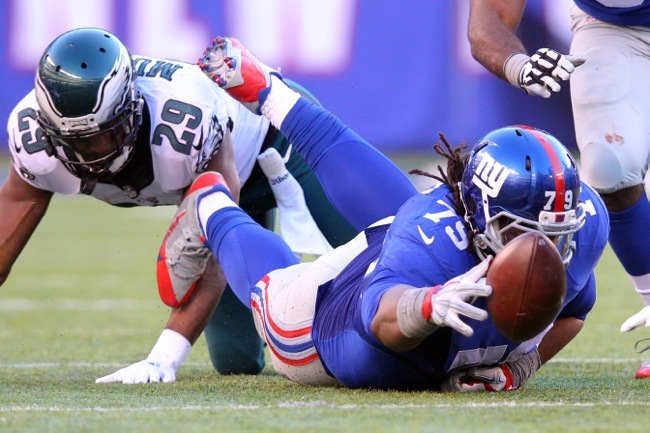 The Giants offense scored touchdowns on their first two possessions of the second half. First, aided by a 46-yard kickoff return by Dwayne Harris, the Giants drove 56 yards in nine plays to tie the game at 16-16 on Manning’s 9-yard touchdown pass to tight end Will Tye. Then New York drove 79 yards in seven plays to go up 22-16 midway through the 3rd quarter. The big play on this drive was a 48-yard pass from Manning to wide receiver Victor Cruz. Three plays later, on 3rd-and-4, Manning hit Shepard for a 15-yard touchdown. Gould missed what could have been a very costly extra point, his second miss of the game. Holding a 6-point lead, the Giants offense struggled for the remainder of the game as their next five drives resulted in only two first downs and five punts. Fortunately, the Bears were even more inept. Starting on their own 22-yard line, Chicago got the ball one last time at the 3-minute mark. The Bears gained 35 yards on their first play to the Giants 43-yard line. Then on 2nd-and-20, Chicago gained 23 yards to the Giants 30-yard line. But defensive end Jason Pierre-Paul sacked Cutler and a penalty pushed the Bears back into a 2nd-and-29 from the New York 49-yard line. 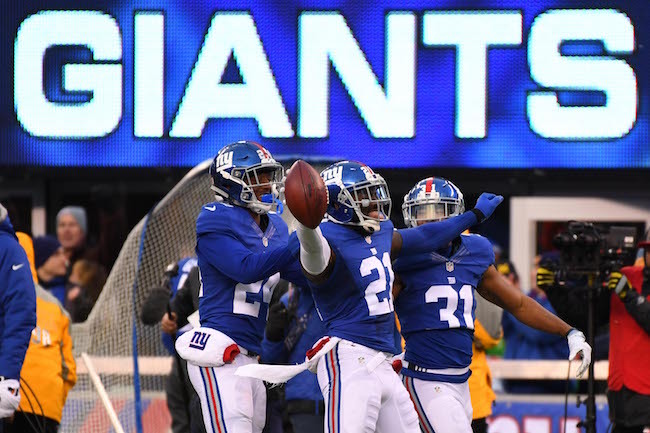 On the next snap, safety Landon Collins saved the win with an interception at the Giants 21-yard line. Offensively, Eli Manning finished 21-of-36 for 227 yards, 2 touchdowns, and no interceptions. His leading receivers were Sterling Shepard (5 catches for 50 yards and a touchdown), wide receiver Odell Beckham (5 catches for 46 yards), and Rashad Jennings (5 catches for 44 yards). Jennings finished the game with 85 yards rushing and a touchdown on 21 carries. The Giants did not allow a sack and did not turn the ball over. Defensively, Jason Pierre-Paul accrued 5 tackles, 2.5 sacks, 1 tackle for a loss, 3 QB hits, 1 pass defense, and 1 forced fumble. Defensive end Olivier Vernon had 3 tackles, 1 sack, and 2 tackles for losses. Landon Collins had 6 tackles, 1 interception, and 3 pass defenses. Defensive tackle Johnathan Hankins had 6 tackles, 0.5 sacks, and 1 tackle for a loss. 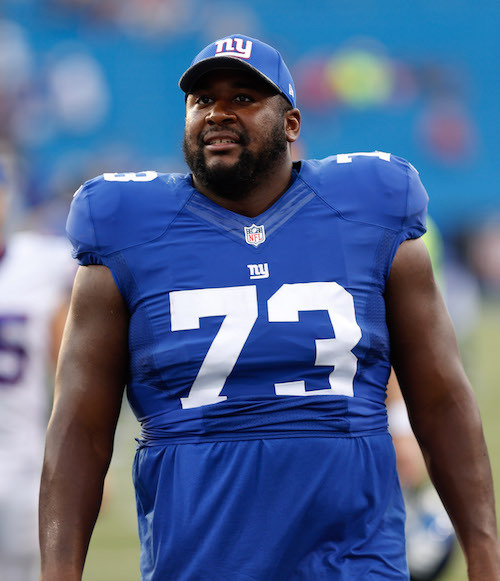 Inactive for the game were left guard Justin Pugh (knee), offensive lineman Brett Jones (calf), tight end Larry Donnell, wide receiver Tavarres King, quarterback Josh Johnson, defensive tackle Robert Thomas, and cornerback Leon Hall. Wide receiver Roger Lewis suffered a possible concussion. Wide receiver Dwayne Harris (wrist) and offensive lineman Marshall Newhouse (sprained knee) left the game with injuries but returned. The Giants won their fifth consecutive game, their longest winning streak since they won five in a row in 2010. The Giants improved to 7-3 and have exceeded their victory total from each of the previous two seasons (when they were 6-10) – with six games remaining. This is the Giants best 10-game start since they were 9-1 in 2008. The Giants seven victories have been by a total of 27 points. 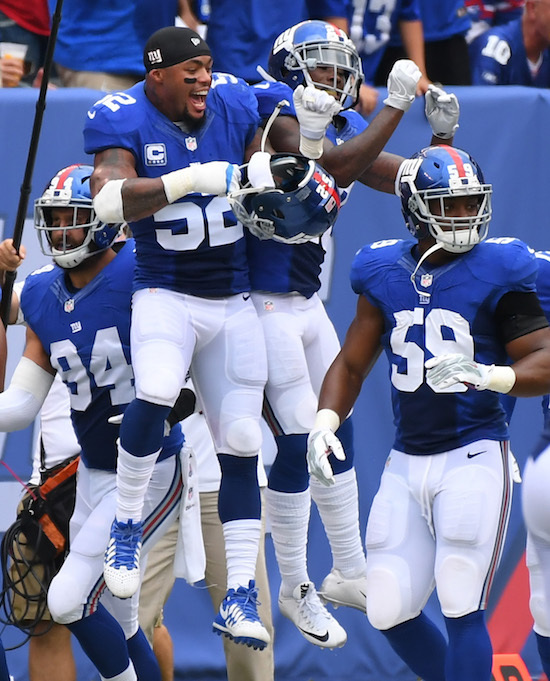 The Giants improved to 5-1 in MetLife Stadium, their highest total at home since they were 6-2 in 2012. With the victory, the Giants concluded a 3-0 homestand. This is the first time the Giants won three games at home in consecutive weeks 1962. The Giants did not commit a turnover, ending their NFL-long streak of 18 consecutive games with at least one giveaway. 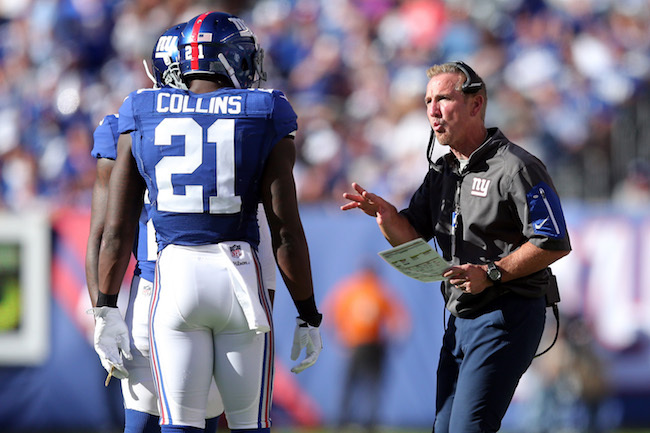 Safety Landon Collins has intercepted at least one pass in four consecutive games, the first Giants player to do that since cornerback Phillippi Sparks also had a four-game streak in 1995. On Saturday, the New York Giants signed center Shane McDermott to the 53-man roster from the Practice Squad. To make room for McDermott, the team waived linebacker Deontae Skinner. The Giants also signed quarterback Logan Thomas to the Practice Squad. 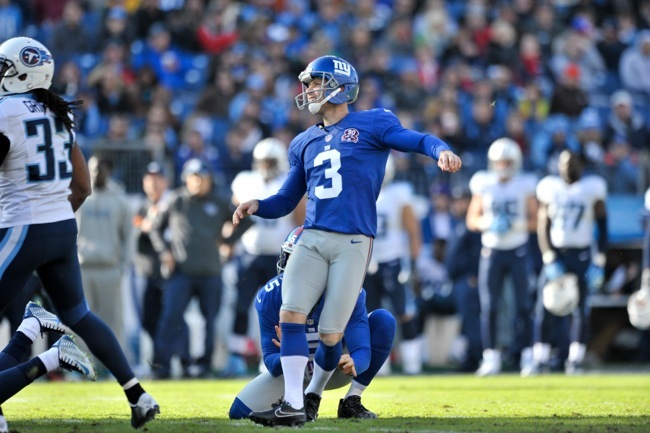 McDermott was signed to the Giants Practice Squad on Thursday. He also spent time on the team’s Practice Squad in September. McDermott originally signed by the Dallas Cowboys as an undrafted rookie free agent after the 2015 NFL Draft, but the Cowboys cut him in September that year. After a brief stint on the Panthers Practice Squad, the Giants signed McDermott to the Practice Squad in November 2015. McDermott is a blue-collar, overachiever who lacks ideal athleticism and strength. Skinner was signed to the Practice Squad in September and October 2016 and then to the 53-man roster in October 2016. Skinner was originally signed as an undrafted rookie free agent by the New England Patriots after the 2014 NFL Draft. 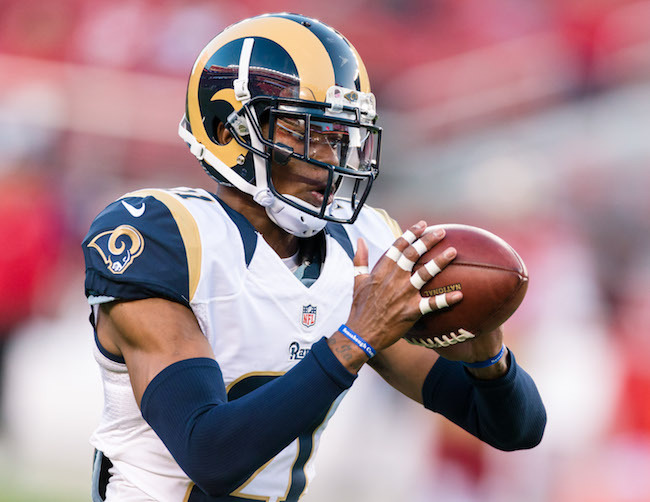 He has spent time with the Patriots (2014-2015) and Eagles (2015-2016), the latter waiving him in August. Thomas has been added to and released from the Practice Squad multiple times in 2016. Thomas was originally drafted in the 4th round of the 2014 NFL Draft by the Arizona Cardinals. The Dolphins claimed Thomas off of waivers from the Cardinals in September 2015 and the Giants claimed him off of waivers from the Dolphins in June 2016. Thomas has only played in two NFL games, completing one pass in nine attempts for an 81-yard touchdown. Thomas is a huge, athletic quarterback with a quick release and strong arm. He has been an inconsistent performer with decision-making and accuracy issues. Safety Darian Thompson (foot), safety Nat Berhe (concussion), tight end Larry Donnell (concussion), and offensive tackle Marshall Newhouse (calf) did not practice on Thursday. Cornerback Dominique Rodgers-Cromartie (groin), cornerback Eli Apple (hamstring), running back Rashad Jennings (thumb), and defensive end Olivier Vernon (wrist) were limited in practice. Defensive tackle Robert Thomas (illness) fully practiced. The New York Giants have once again re-signed linebacker Deontae Skinner to the Practice Squad and terminated the Practice Squad contract of quarterback Logan Thomas. McAdoo: I’ll start with a little bit about the defense and what we did well. Our first and second down run defense, stopping the run, was adequate. I thought our defense hung in there and gave us a chance to stay and hang in the ballgame. What we need to work on is our red zone defense. We were 0-for-3 there. Third and fourth down conversions, we were 50 percent. We had a drive really after we cut the score to seven. There was a big drive in the game. We enabled them to extend the lead. On offense, what we did well, I thought our offensive line handled the noise. Zero sacks. We did have a false start, but we handled the noise well. I thought some running backs stepped up to fill the void of the loss of our number one and number two backs. Had a nice night. Some things we need to work on. We need to complete the ball better. Teams make it tough on us. They make us go a long way. We need to do a better job there. Five of six series in the first half, we stopped ourselves with penalties and other errors. We need to make the contested plays and connect on third downs. We were poor on third downs. Special teams, what we did well, I thought we held a couple of explosive returners in check in the kicking game. What we need to work on, we need to handle the ball better and field the punt. It’s a short week. It’s not going to get any easier for us, like I said last night. Playing at a tough venue against a good opponent. We need to have a great week of preparation in a short week. Q: You mentioned that you guys didn’t take advantage enough of one-on-one matchups yesterday. When you reviewed the tape, what did you see there? A: I think it’s a combination of a little bit of everything. A combination of the call, possible throws, possible reads, one-on-one matchups and making contested plays. I don’t think you can ever just say it’s one thing. I think it’s a combination of a lot of things. Again, give the opponent credit, that’s a pretty good defense. Q: When you go back and watch the tape and see that Odell doesn’t get targeted until 22 minutes into the game, is that something you have to correct? How do you go about that? A: Well, first thing is we have to be smart with the quarterback and his decision making. You don’t ever want him to have to force balls. That can make a lot of things worse. At the same point in time, it’s my responsibility to make sure a playmaker like Odell has the opportunity to touch the football. We’re going to continue to work at it. Q: How do you do that? What kind of ways can you make that happen? A: I’m not going to give you an answer to that question. That’s a game plan type question. We have to keep him in our thoughts. Q: Were you concerned at all with what Odell said after the game about officials “targeting” him? Is that something you will talk to him about? A: I think as an offense we need to get all the penalties and turnovers out of our play. We need to execute better as an offense and understand that the penalties are drive killers. They hold us back. We need to eliminate them from our play. Every game is officiated differently. Not all crews officiate games the same way. You have scouting reports on officials just like you do on opponents. We need to understand how the games are going to be officiated. You usually find out pretty early. Q: What did you see when you went back and looked at the tape on that penalty? A: I saw contact on the boundary. I thought it was going to be offsetting. They called it one way. We accept responsibility for it and we move on. Q: Does it concern you that your player reacted like that? Especially that he has had a history of this? A: He did not have any unsportsmanlike conduct penalties last week. The one yesterday was one that we have to eliminate from our play. We can’t have 15-yard penalties. One 15-yard penalty in a close game is usually enough to cost you a game. Q: Odell told ESPN that he’s not having any fun right now with his role. What is your response to that? A: I have no response. Q: Is it concerning when your star player is coming out and saying that he’s not having any fun? A: When we execute better, spread the ball around and everyone gets their opportunities, we’re going to have some fun. Until we execute better, hang onto the football and eliminate the penalties from our play, no one is going to be having any fun. Q: I know you talked about how it was just one penalty, but Odell and Rhodes had other run-ins on the plays after. Was it a distraction? A: No. It was not a distraction. Two competitive players playing the game. Q: You guys were the only game last night and everyone is talking about Odell Beckham today. Do you recognize that this is something that you’ll have to deal with and talk about as the season goes on? A: The most important thing for us right now is to eliminate the penalties and play as an offense. When we do that, our offense is going to have an opportunity to come to life. Right now, we’re sixth in the league in offense and we’re not executing anywhere near where we are capable of executing. We need to eliminate the mistakes, the penalties and the turnovers from our play so we have chance to showcase the type of offense we can be. Q: Odell also said that when I’m communicating, I’m not getting the opportunity to contribute. What do you think he means by that exactly? A: He’s a talented player who works hard in practice. It’s important to him. His teammates are important to him. He wants to win and he wants to make an impact. Q: Do you feel like he’s unhappy that he’s not getting the ball? A: Yes. He’s one heck of a player that wants the football. Q: Are you guys looking into adding any type of free agent as a defensive back? Are those conversations happening? A: Our conversations on the roster are ongoing. We worked out some players last week. We’ll look at that when the week unfolds. Q: Do you think you have to make a move on a safety or are you optimistic Nat Berhe will be ready? A: We’ll see. I don’t have anything new to report on that. He’s still in the concussion protocol. I’m confident in the players we have at safety right now. Q: Are you going to talk to the NFL about what Odell said about officials potentially targeting him? A: I’ve not been a part of any discussions like that, no. Q: Do you have an update on Larry Donnell? A: He’s in the concussion protocol. Q: No other serious injuries coming out of that game? A: Just some bumps and bruises. Nothing to report. Q: Do you like the chances of getting at least one of your cornerbacks back this week? A: I would like to think so. We’ll see how it goes. 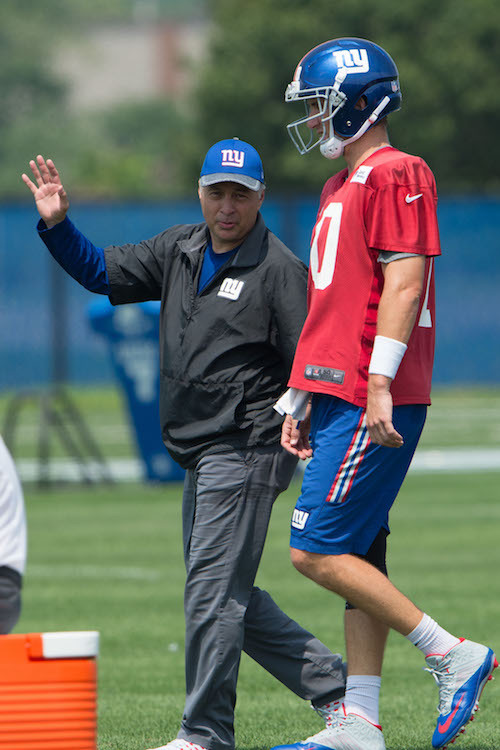 DRC will be limited and Eli will be limited when we hit the field tomorrow. Q: The Dwayne Harris fumbled punt, is that just a mistake or just completely careless? A: I do not consider it completely careless. He’s a player who wants to make an impact in the football game and do what he does best. That’s making plays on special teams. He’s very aggressive doing so. We just have to make sure we field the punt first. Q: Do you have any intentions of talking to Odell about some of these things that he said? A: Odell and I talk every day. We’re around each other all the time. We speak a couple times a day on different things. We’re always going to have conversations. Q: Do you think you need to air anything out with him in regards to the targeting by the officials comment? A: All conversations I have with Odell will be private. Q: Eli said the penalties are brought upon by Odell himself. Is that something that you have to address with the both of them together? A: I think that we need to get the penalties out of our play. Eliminate the turnovers, execute better as an offense. That’s the most important thing for us to be focused on right now. The New York Giants have once again re-signed quarterback Logan Thomas to the Practice Squad and terminated the Practice Squad contract of linebacker Deontae Skinner. The Giants fell to 23-37-1 on Monday nights, including 15-28-1 on the road and 2-3 vs. the Vikings (0-2 in Minnesota). QB Eli Manning’s 25 completions increased his career total to 3,796, and moved him past Vinny Testaverde (3,787) and into ninth place on the NFL’s career list. WR Odell Beckham has not scored a touchdown in a career-long five games. WR Sterling Shepard caught four passes for 30 yards. That pushed his season total to 20 receptions, a record for a Giants rookie in his first four games. Beckham held the previous mark with 18 two years ago. The Giants return to practice at 4:05PM on Wednesday. 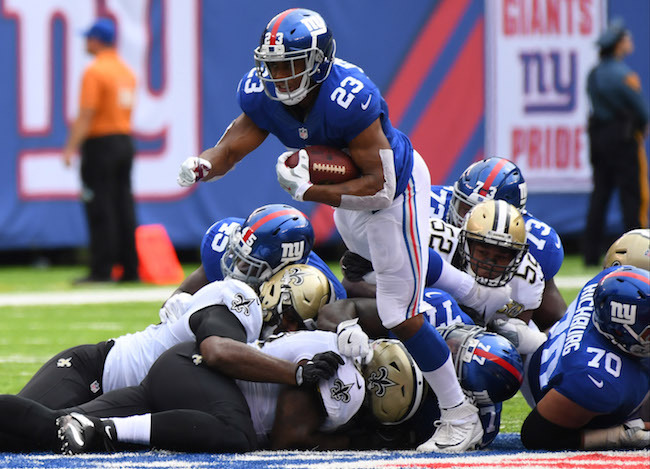 News and Notes Tagged with: Ben McAdoo, Deontae Skinner, Logan Thomas, Odell Beckham Jr.
New York Giants Head Coach Ben McAdoo addressed the media by conference call on Monday to discuss the team’s 16-13 win over the New Orleans Saints. McAdoo: I thought we showed some discipline, poise and resiliency like we talked about last night. It’s a game that many teams would’ve let the frustration show through and take over. We showed some great leadership in the locker room in all three phases there. Having three penalties in the game also was a major factor for us. I thought what we did well, the defense was physical and heavy-handed. We challenged everything they did in the run game and the pass game. We had some big pass breakups in the secondary. We got off the field on third down, which was encouraging. The sudden change defense was awesome yesterday. It was a big part of the game. Defensively, there were some downs we could’ve been better whistle to snap. There was a shot in two-minute there on a third down call where we should’ve been off the field in the first half. Have to get the offense the ball back. The offense, what we did well was hit the rule 53. We had 65 runs and completions. We held the ball for about 34 minutes and change. We were close to 80 percent completing the ball. In two-minute, when we needed it the most, we had timely production in the pass game. We had a good pocket to throw from there as well. What we need to work on, obviously handling The Duke better and finishing drives. We had six drives that ended in either drops or fumbles, which is unacceptable. We left a lot of points on the board. We had too many zero and negative yards rushing with six. We need to do a better job after the catch getting north and south, playing physical. Special teams, I thought Tom Quinn did a great job getting these guys ready on the field goal rush this week. Hankins did a great job coming through making a block and Jackrabbit scooping and scoring. It was a major play in the game after a sudden change stop by the defense. What we need to work on, the kick return blocking. We still need some work there. We didn’t have any opportunities but we still need to work on it. Also, long stride, short stride on our punt coverage. With that, we’ll open it up. Q: Regarding the running game, it doesn’t seem that the running game is in rhythm. Is that affecting the overall offense? A: I thought the first week we ran the ball well. This week we struggled getting it off the ground. We need to be going forward. Again, it’s one week and we’ll work to improve it this week. Q: You inserted Orleans Darkwa in for that one series in the fourth. What led to that decision? A: We had a lot of plays out there. Rashad had his hand banged up a little bit in the second half. When you play 79 plays, not including the penalties and everything but 79 graded plays, that’s a lot of plays. You play a couple of backs. A: We’ll see how it goes this week. We’ll see how practice goes. We’ll know more when we see him out there on Wednesday. Q: You expect to see him out there on Wednesday? A: Yes. He will be limited in some form or fashion. We’ll know more when we see him. Q: What does it do for you as a play caller to have three extremely reliable wide receivers? A: It helps. What it does is it creates great competition in the room. It lets those guys know that every time they get an opportunity, they better cash in on it. The ball could go to any of the three spots. The quarterback has to have confidence at all three spots. It makes you very versatile. Q: You don’t have a ton of sacks; does that concern you or are you satisfied with the pressure on the quarterback so far? A: We’ve been very aggressive attacking the receivers. Getting up and challenging the receivers to throw off the timing and rhythm of the quarterback. Yesterday you saw a quarterback that does a great job of getting the ball out of his hand quickly. When you can disrupt the timing and rhythm, it throws him off a little bit. We feel the sacks will come. Q: What do you see that has allowed you to limit the big plays? A: We may not be getting the sacks, but we’re getting some pressure on the quarterbacks. We’re doing a nice job challenging receivers in coverage. They may have to hold it a tick longer with some pressure in their face. It’s hard to be explosive that way. Q: Do you have an update on Marshall Newhouse and his calf? Do you have an idea of what direction you’ll go in if he can’t play? A: Right now we’re going to evaluate him as the week goes on. See how he does and recovers. We don’t know how significant it is or how long he’ll be out at this point or whether he’ll be able to play or not this week. It looks like he’ll be out of practice, especially early on. We’ll take a look at it. It’ll be up to between Bobby (Hart) and William (Beatty) if he can’t go. Q: Beatty is ready to play this week? A: Yes, he will compete to be up this week. Q: What have you seen from him so far? A: I see a guy that’s getting his legs underneath him, his football legs underneath him. He’s working well with his pads. The Thursday practices have been great for him. Q: Any update on Mykkele Thompson? A: Mykkele has a knee. He’ll be out for a few weeks. Q: What was your thinking on the fourth down early in the game? Why didn’t you take the points instead of going for it early in the game? A: We’re aggressive on offense. I want to make sure these players know we have faith in them. I like the call right there where we were. I felt we had a chance to get a good look at it. Q: The third down pass to Cruz wasn’t the highest percentage. If you don’t complete that, what would you’ve done? A: There were a couple of options. I’m not going to deal in hypotheticals. I thought Eli made a great decision there. Victor did a nice job of ripping the ball away from him. Q: You didn’t look to take a lot of deep shots down the field prior to late in the fourth quarter. Was it something they were doing? A: They changed up a little bit on how they were playing. They were playing a lot of zone converge. Whether it was Tampa 2 or a one-high zone, a buzz coverage or a sky weak coverage. They were playing a little bit soft on us, giving us opportunities to complete the ball underneath. Q: Will you talk to Odell about Josh Norman? A: We’ll hit more on the next opponent on Wednesday. Q: Specifically with Odell, do you feel you need to talk to him about controlling his emotions? A: We’ll talk more on the next opponent on Wednesday. Q: Do you feel you have to talk about that with your team? A: We’re still on the Saints. We’re cleaning up the Saints right now. We’ll move on to Washington later on. Q: What have you seen out of Devon Kennard these past two games? A: Physical edge setter. That’s what he does a great job of. It showed up again yesterday. The New York Giants have re-signed linebacker Deontae Skinner to the Practice Squad and terminated the Practice Squad contract of quarterback Logan Thomas. Skinner had been cut from the Practice Squad on Saturday to make room for Thomas.